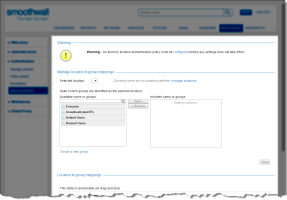 You can configure Guardian to identify groups and users by the location in which they are situated. This can be used to configure an identification by location authentication policy. Note: The settings configured on this page are only used when Identification by Location is selected as the method in an authentication policy. See Creating Authentication Policies for more information. 1. Go to the Web proxy > Authentication > Ident by location page. 2. From the Selected location drop-down list, select the location. 3. 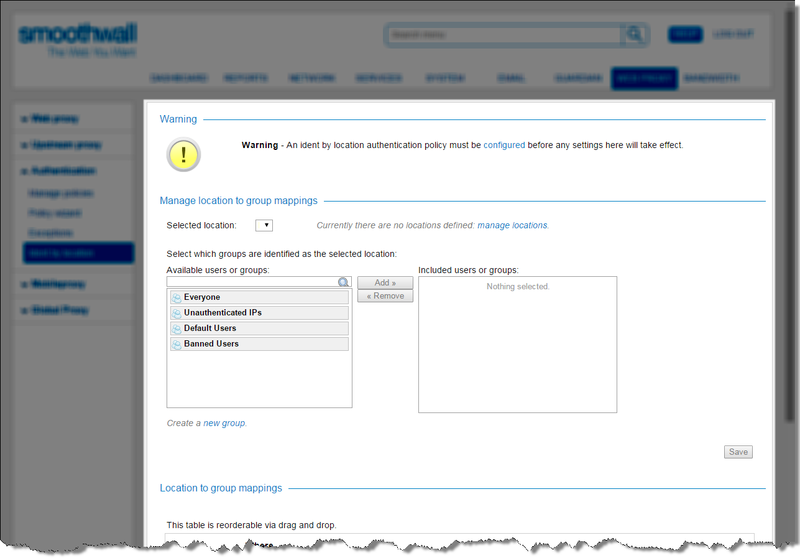 Select the groups and users to include in the location and click Add. 4. Click Confirm. Guardian lists the location in the Location to group mappings table.